Hey guys--I had every intention of getting this up for you yesterday but unfortunately I came down with a pretty bad stomach flu and was TOTALLY out of commission all day. This morning I'm feeling a little bit better but still pretty crappy. Hoping I'll be totally back to normal tomorrow or at least by Christmas day. 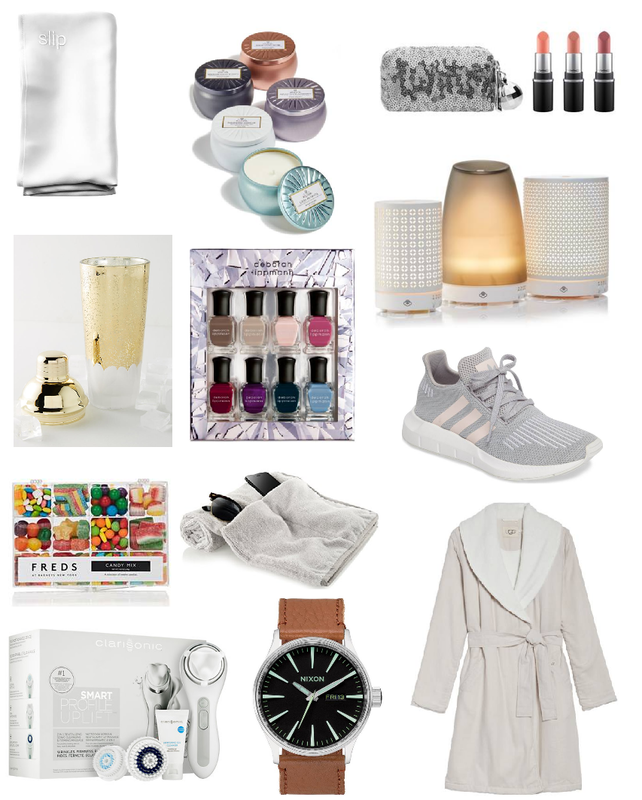 Since we still have 2 more days until Christmas, I wanted to share some SUPER last minute gift ideas that you can definitely grab from your local mall! Most of these items are carried by several different retailers so no matter where you live, you should be able to find them or at least something similar! Have a Merry Christmas and I'll see y'all Wednesday! These are really good ideas. I love the nail polish set. Lovely picks dear! That Nixon watch is really pretty.